 Sept. 7, 2018 - On Tuesday, September 2nd, an open-door session of the Iranian regime’s Majlis (parliament) became the scene of a number of Majlis members acknowledging the regime’s crises and “super challenges” while criticizing Iranian regime Supreme Leader Ali Khamenei and his policies for their status quo. These unprecedented attacks came at a time when Khamenei himself is engulfed in circumstances that the regime’s so-called Assembly of Experts held a session on the same day to inject new life into his role as the Supreme Leader in public opinion. Ahmad Jannati, head of the Assembly of Experts, said all the country’s dilemmas are blamed on Khamenei. He referred to the bipolar status of power in the mullahs’ regime and called for changes in the “country’s managing system,” asking Khamenei to hold a referendum to resolve the country’s issues. Parvin Salahshouri, another Majlis member, described Khamenei and his military apparatus as the elements behind the country’s crises and super challenges. “We are witnessing military personnel entering politics, the economy and culture, and the joint efforts involving cultural and military entities. Now, the President says we have no challenges at all. Mr. President, we are currently engulfed with super challenges and everyone knows that” she said. Salashouri called on Khamenei to step forward to resolve Iran’s crises and super challenges, and order a re-evaluation of the constitution. She also called for military entities to return to military bases and focus on their own duties, allowing the country’s economy and culture to recover. As the Iranian people’s living conditions become more difficult with skyrocketing prices, and as the Iranian opposition People's Mojahedin Organization of Iran (PMOI/MEK) continues to expand its resistance units across the country, we have reached circumstances where Majlis members are feeling the threats and are attempting to portray themselves as supporters of the people, criticizing Khamenei and his supporters as a result. The regime’s utter fear of being overthrown by the Mujahedin has reached a point where Majlis members are literally begging Khamenei to step forward and take action to prevent the economy from crumbling in the face of corruption.